Warnings of technology’s isolating effects seem to be everywhere. This video (which quotes Alone Together, a really great read on the social effects of technology), presents a pretty thought-provoking depiction of loneliness as a result of new internet-based behaviors and norms like accumulating 500+ “friends” on social networking sites without truly connecting with any. This seems to represent the most widely vocalized opinion. it is the cloud that has become the destination for an extraordinary mental exodus. Hundreds of millions of people have now migrated to the cloud, spending hours per day working, playing, chatting, and laughing in real-time HD resolution with people thousands of miles away … without knowing their next-door neighbors. Just as geographic distance can measure the difference between two points on earth, we can use geodesic distance as a measure of the degrees of separation of two nodes in a social network. 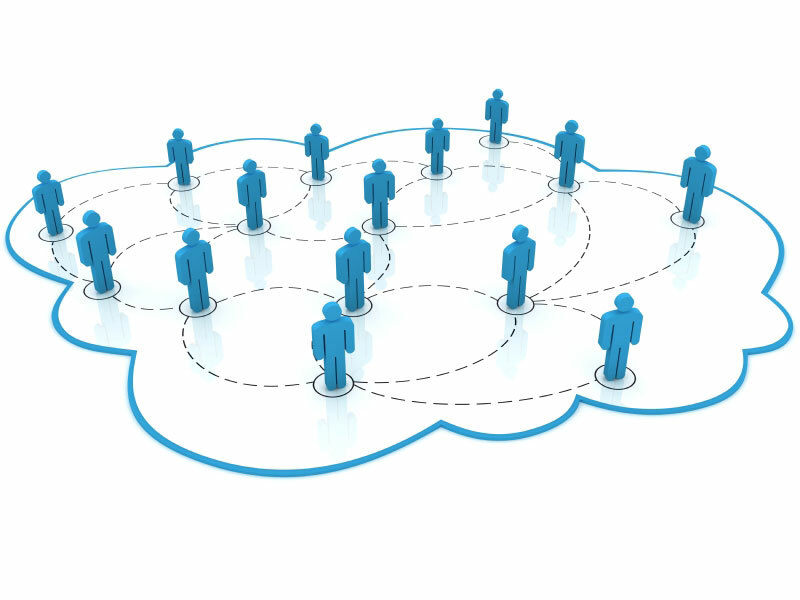 Recently, the two measures have continually diverged, as people increasingly connect more with others in the cloud and less with others on the ground. However, Srinivasan claims that “this discrepancy between our cloud subculture and our physical surroundings will not endure indefinitely.” This is because technology allows us to be more mobile, resulting in a “reorganization of bodies.” In short, people connect online and carry their connections over into the physical world. Some concrete examples: 2 people who meet via an online site come together as a couple; thousands of people come together to Occupy Wall Street or participate in the realization of a little boy’s dream to be Batman; and an increase in communal living situations throughout the world. What’s the future of cloud-based physical reorganization? There is no scientific law that prevents 100 people who find each other on the internet from coming together for a month, or 1,000 such people from coming together for a year. And as that increases to 10,000 and 100,000 and beyond, for longer and longer durations, we may begin to see cloud towns, then cloud cities, and ultimately cloud countries materialize out of thin air. The paradoxical consequences of technology are really intriguing. On the one hand, it can isolate us and enforce anti-social behaviors. On the other, it can bring like-minded people together and reshape our social surroundings. Reblogged this on IT Solutions. That comment is really interesting. Put another way, maybe he’s saying teenagers are actually moving around less because of the connections/exploration/socialization their phones (and other gadgets) afford. Maybe not just teenagers – last week I was at the zoo and saw a little boy in a stroller being fed by his mother. As soon as the father stuck the iPad in front of his face, he stopped fidgeting and whining. I don’t think this is an isolated incident, but just another instance of technology driving us to move around less, for better or worse. What i do think is, technology is making both at the same time, connecting and isolating, when we change from the actual world to a vitual one, we miss great opportunities, but at the same time, we have a chance to work things out from a virtual world into the phisical, but it takes time, what we miss the most is human contact and meaningful relations. But that kind of technology is very new to us, we are a generation that is still learning how to deal with, but as time pass by and technology grow ever more we will face some changes that will be the TRUE BIG TIME THING! Thanks for the comments – interesting read!